I just love quick little projects! Toss these yummy scented lavender sachets in your undie drawer ;), or bundle them with ribbon or rick-rack to make a cute little gift! 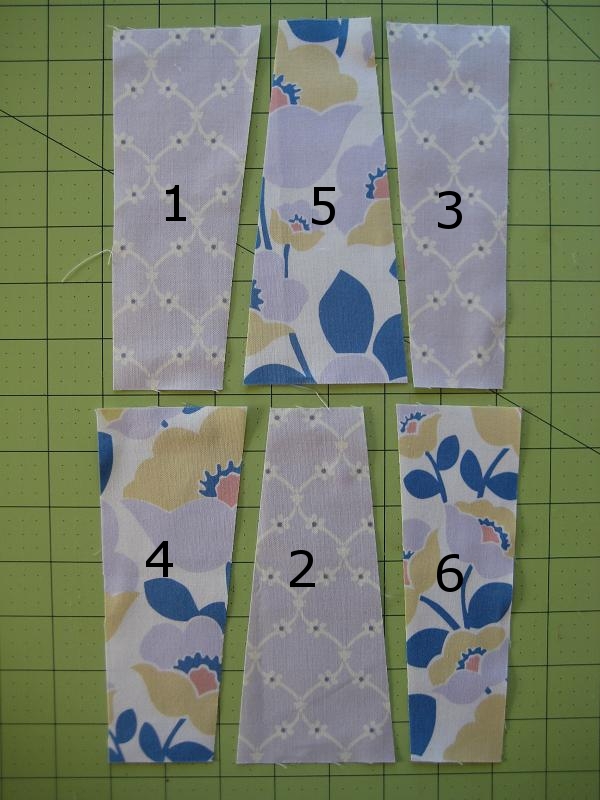 The tutorial below is quick and easy, and is a fun way to use your scrap fabrics. 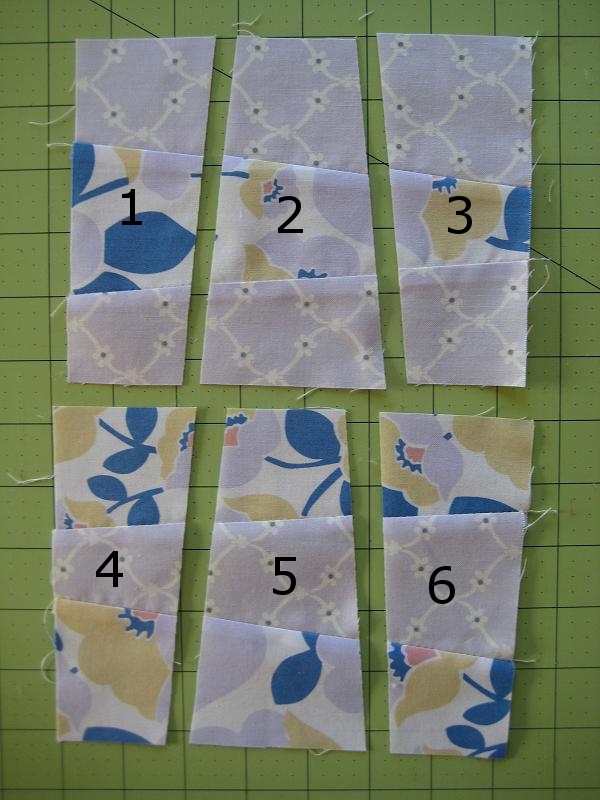 Also, if you like to quilt you can use this pattern to make quick quilt blocks, simply start with a bigger square (e.g. 10″ square instead of 6.5″). Step 1 – Cut two 6.5” squares. Step 2 – Layer both squares evenly. Then, make two diagonal cuts as shown below. 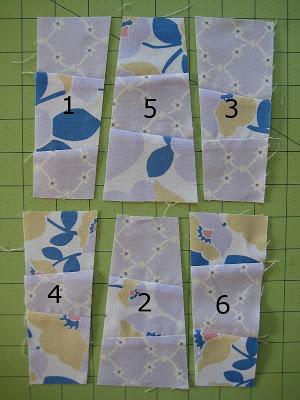 Step 3 – Because you layered both squares (previous step), you will have a total of 6 pieces. Lay them out as shown below. 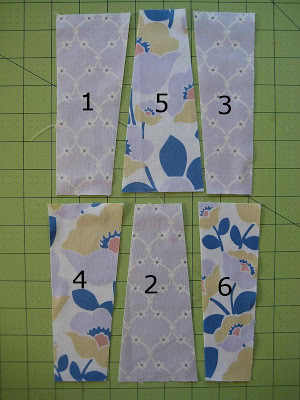 Then, switch the middle top and bottom pieces (numbers 2 & 5). 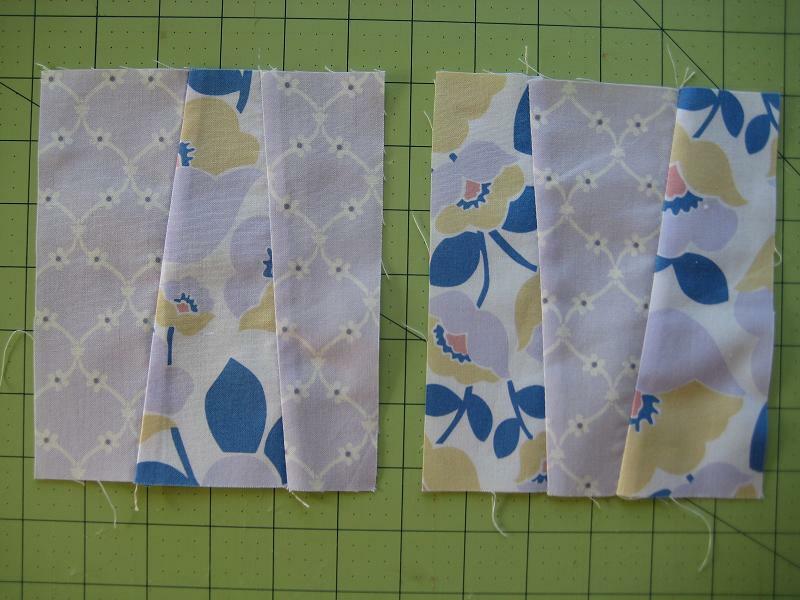 Step 4 – Sew pieces 1, 5 and 3 together; and then sew pieces 4, 2 and 6 together. 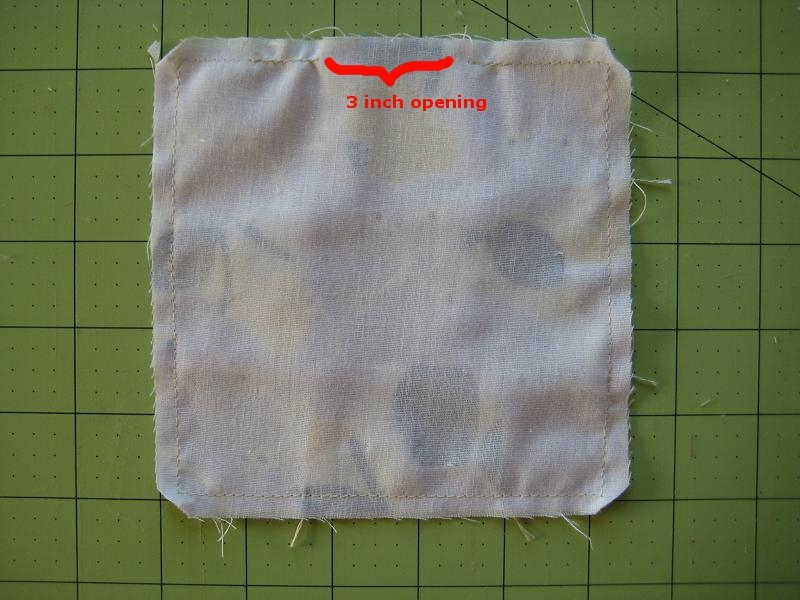 (Sew with right sides facing together, pin in place, stitch a ¼” seam, then press open). 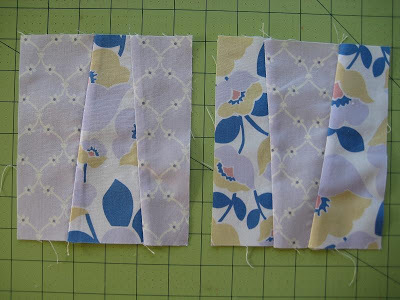 Step 5 – Layer both pieced-together-squares evenly on top of one another. Rotate the square 90 degrees as shown below. 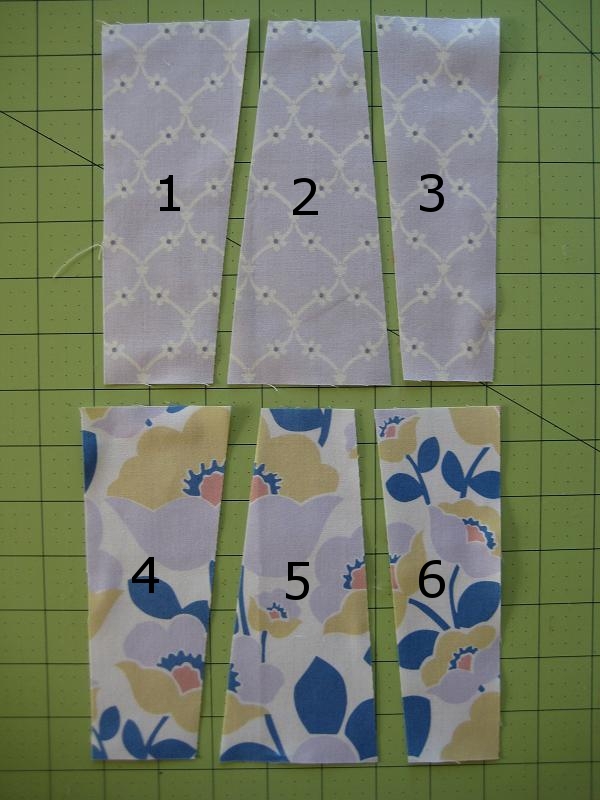 Similar to Step 2, make two diagonal cuts again. 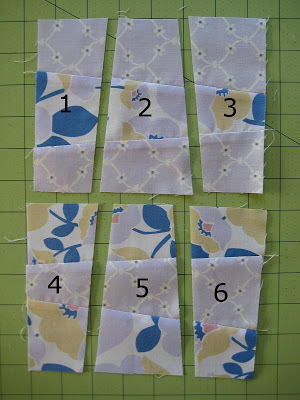 Step 6 – Because you layered both squares (previous step), you will have a total of 6 pieces. Lay them out as shown below. Step 7 – As shown below, sew pieces 1, 5 and 3 together; and then sew pieces 4, 2 and 6 together. 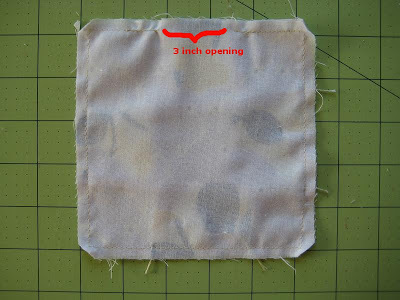 (Sew with right sides facing together, pin in place, stitch a ¼” seam, then press open). 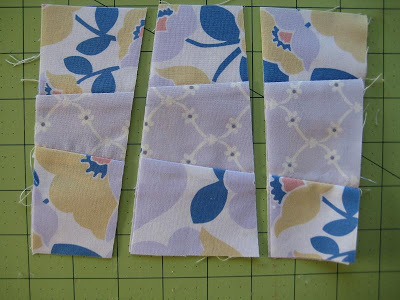 Step 8 – From the backing fabric, cut two 5.5” squares. Take one finished square (from previous step) and one backing square. 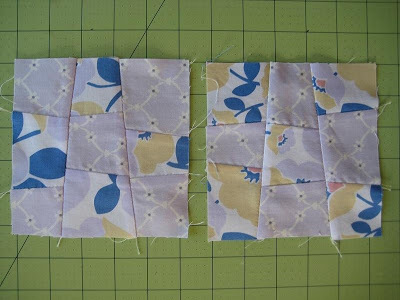 Layer both squares with right sides facing together. 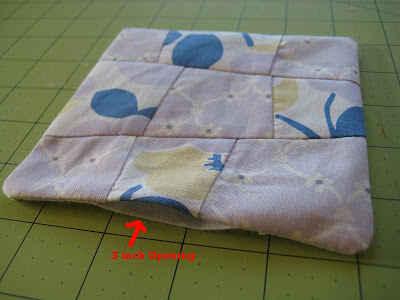 Step 9 – Sew a ¼” seam allowance around the perimeter of the square, leaving ~3” opening at the top. 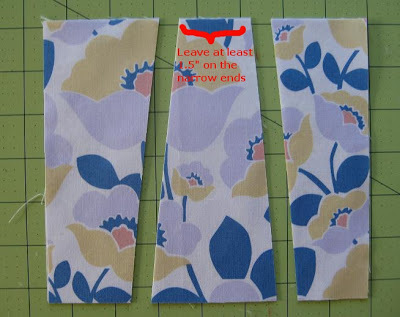 As shown below, snip the corners of the square off. Step 10 – Turn right-side out through the 3″ opening, and then press flat with an iron. 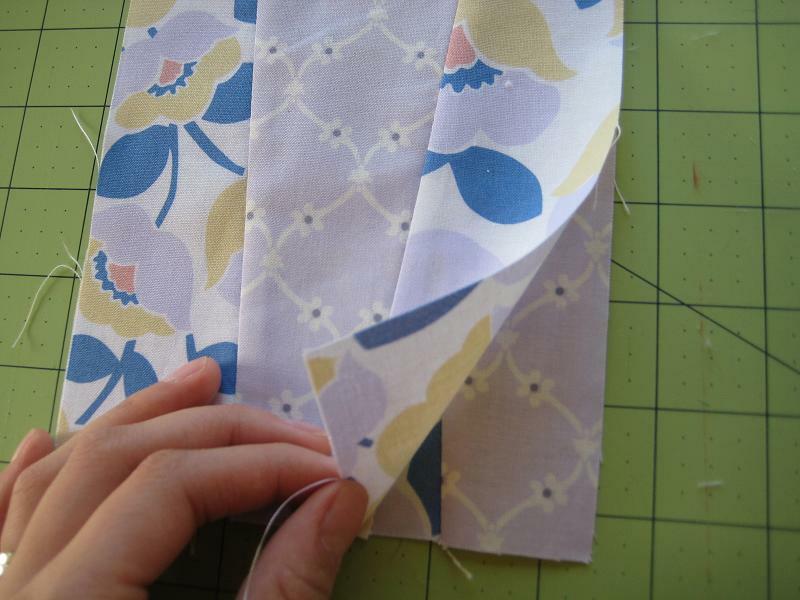 Step 11 – Fill the sachet with dried lavender buds through the 3” opening. 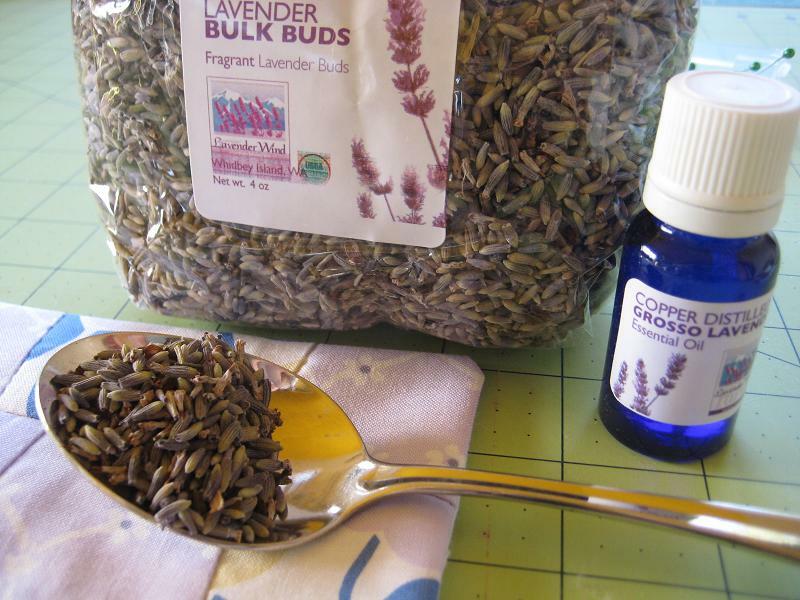 For a really fragrant sachet, add a few drops of lavender oil to the buds. Lastly, stitch the opening closed. Your sachets are a really cute and fun gift idea. Thanks so much for sharing with us! Hello from a fellow Washington quilter and blogger. 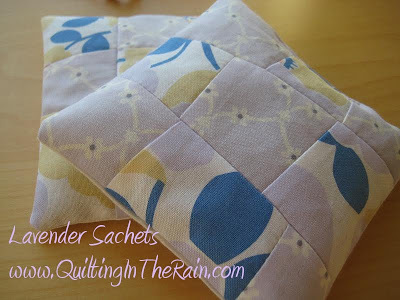 Love those Lavender Sachets. Thanks for sharing your talents! Thanks for this very cute idea. 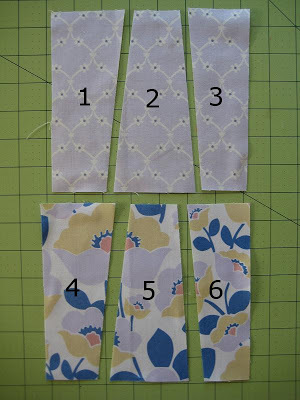 I just used up some scraps to make my MIL a sachet based on your instructions. 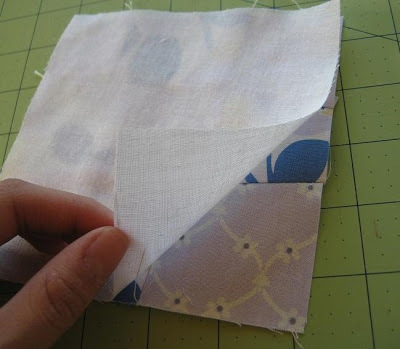 I'll be giving you a shout-out on my next podcast episode (www.quiltingfortherestofus.com). This is a very well-written tutorial! 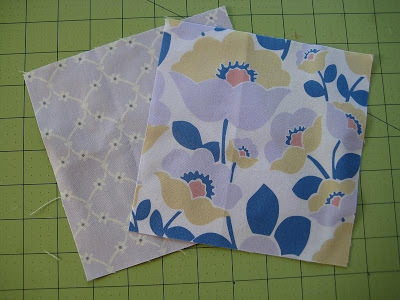 I have access to a lavender farm and have been wanting to make some sachets. These will make wonderful gifts.